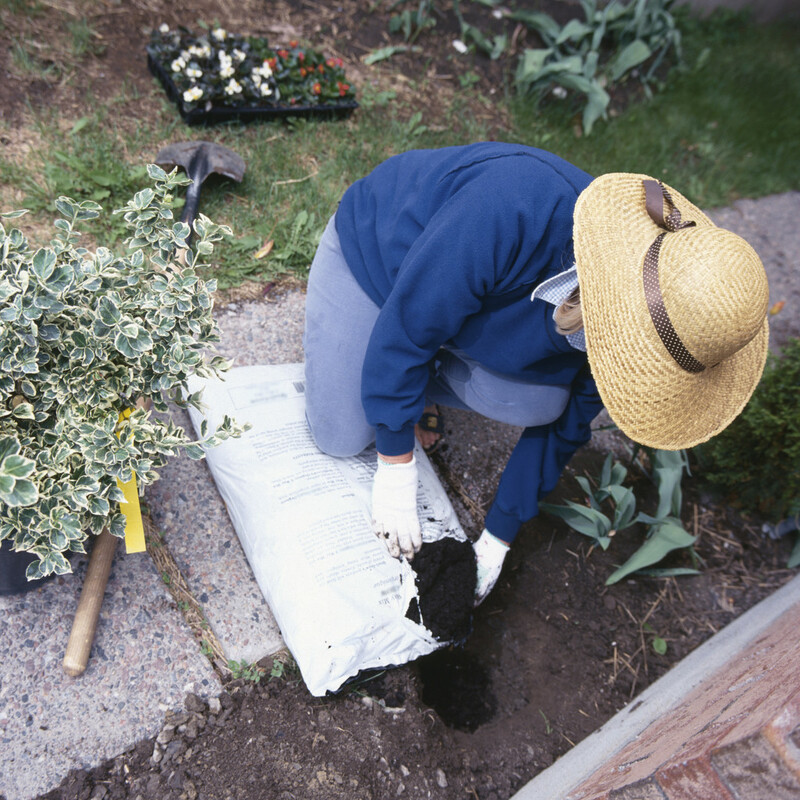 Water conservation and reduced chemical usage are high priorities to the green industry, home gardeners, and people in general. Although these issues are approached with many different “sure-to- fix-your-problem” ideas, the surest solution to these concerns is to build a better soil foundation. As in any construction, a good foundation is critical. We need to grow from the ground up. We must build and feed the soil life and replace the nutrients that are being taken out. Think of it as a bank account! AMEND – Our Back to Earth and Soil Mender Cotton Burr Composts are unmatched as the first step for most soil conditioning needs. Cotton burr’s ability to break down quickly and add organic matter, then humus, to the soil is unbeatable. It is excellent for breaking up clay soils, adding structure to sandy soils and increasing water holding capacity. Cotton Burr Compost is clearly a great start for any soil improvement regimen. FEED – We look at the nutrients and minerals needed to grow the plants and turf we desire. Adding minerals to build the soil and feed important soil life is often overlooked. Specific nutrients can be acquired with several of our products individually or in various combinations. The Composted Cotton Burr and Cattle Manure blends offer nutrient value in addition to the characteristics of the Composted Cotton Burrs. These blends feed and amend at the same time. The garden and bedding mixes offer an even wider variety of nutrients for building beds. For specific nutrients and mineralization of the soil, our supplements range in scope from alfalfa meal and cottonseed meal, to worm castings, kelp meal and greensand to complete even the most intricate soil building program. For simplicity and an unbeatable package all in one, our Yum Yum Mix Plant Food shines through for nutrients and minerals for any soil! PROTECT – We aim to conserve moisture and protect the investment we’ve made in our soil. This is done by mulching. Our mulches include wood products, pecan mulch, the coarse Composted Cotton Burrs and even colored woods for decorative mulching. These also offer great weed control. Summing it up, we amend, feed and then conserve the moisture and protect the soil and the life within it. Remember, the health of the soil will determine the quality of what is produced. A good foundation that is maintained regularly will guarantee desirable results.